While you will be antsy to see wildlife, beaches, and more I highly recommend taking a few days first to explore Costa Rica's capital of San Jose. This bustling city full of life is really a site to see. Here you will find some fantastic restaurants, great nightlife, and be immersed in the Costa Rican spirit. I really l didn’t know what to expect from this hotel, and the name really doesn’t do much to describe it. Upon arrival, though, I was blown away. As we pulled in, there was a huge tree sculpture and someone on site making more incredible carvings. We were greeted and catered to as if we were at a five-star hotel in the U.S., and most of the staff even spoke English; I was relieved they didn’t have to endure my terrible Spanish. This hotel was really unlike any other hotel we had ever experienced. We felt as if we were in an art gallery or museum; there were statues and beautiful paintings all around. To this day, it’s one of the most beautiful hotels we have stayed at. The rooms were perfect for a family of four with two beds, plenty of space, and a large bathroom. The morning after our arrival, we were greeted with a breakfast fit for a king. Sitting at breakfast, I could already tell this was going to be an amazing adventure and could feel the magic of this place in the air. If you are looking for something fun to do that will also entertain the kids for hours, be sure to head over to the Museo de los Niños. Here you will find so many educational and fun exhibits. This amazing museum used to be an old military prison, and now every square inch of it is used for a happier and better purpose. This transformation was done to send the message that Costa Rica will not be consumed by war but instead make education a priority. This museum boasts a whopping 32 exhibition rooms and frequently rotates new exhibits in to be always showing something new. While we were visiting, it had a very cool dragon exhibit! If you are looking for a small day trip just outside of the city, I would highly recommend going to see one of the volcanos. 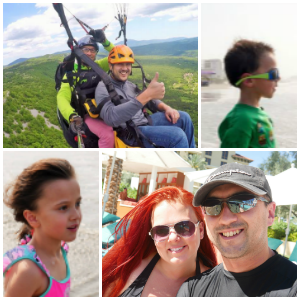 Our family visited The Poas Volcano National Park. This volcano is easy to get to with a short hike that even the kids can do. A spectacular viewing area has been created, and you are able to be really close to this amazing wonder. The national park itself has some great walking trails as well that are worth a visit. After the volcano, I would highly recommend taking a Leche (milk) tour with Freddo Aventura Rural. The kids will love milking cows, trying fresh cheese, and going for a ride around the property. After the tour, you can’t miss heading over to Freddo’s restaurant (Restaurante Freddo Fresas) for some amazing food and everything strawberry you can imagine! There is nothing more refreshing on a hot Costa Rican day than a strawberry shake from Freddo! While Hotel Studio sits just outside of the city center, you will definitely want to venture in to get a glimpse of what city life is like in Costa Rica. It is busy and a little hectic on the roads, so even if you have a rental car, I would highly suggest getting a driver or a taxi to take you in. It can also be really hard to find parking, and you’re here to have fun, not to spend all your time driving around looking for a good space. Our first restaurant experience in San Jose was at El Patio del Balmoral. You can probably guess from the name what the seating is like here. While the restaurant is technically indoors, it has an open-air/patio feel. With the front of the restaurant open to the street, you can sit at your table eating your meal but still feel a part of the city action. The food at El Patio del Balmoral was authentic and delicious. It also has large table settings, so this is a perfect restaurant for the whole family. If you head here for lunch, be sure to check out all the little shops nearby. There’s even a little candy shop next door that the kiddos will love! To truly explore Costa Rica, you must include San Jose. Nowhere else do you feel so connected to the people and culture. 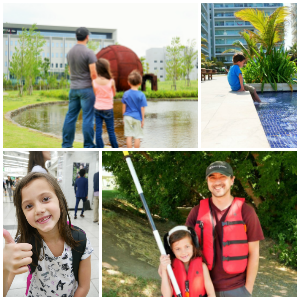 This busy city has a lot to offer family travelers, and you definitely need to plan at least a day or two here as part of your Costa Rican family adventure! 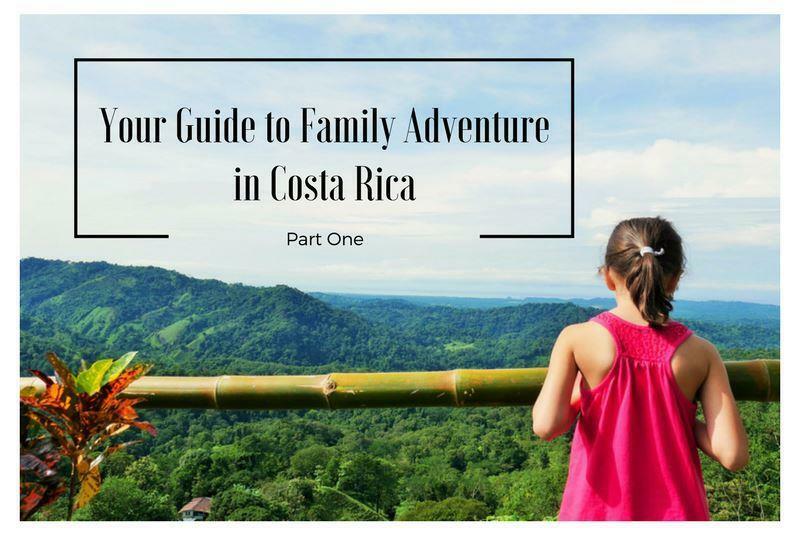 Be sure to check out the next two guides for more information and tips to make the most of your Costa Rican family adventure! We received hosting to facilitate this review, all opinions and information are my own.